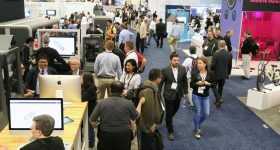 3D Printing Industry has returned to the 2018 edition of the TCT Show in Birmingham where approximately 230 exhibitors (239 – 2017) are displaying 3D printing software, materials and hardware. Final visitor numbers for 2018 expected to exceed 10,000, a similar level to 2017. 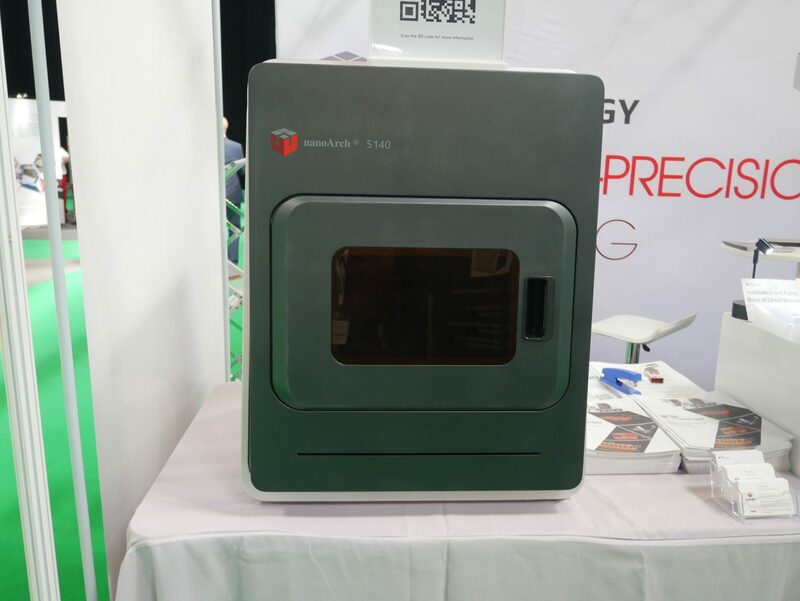 On the first day of the event, upcoming 3D printer manufacturers were present among the established exhibitors displaying a plethora of unique 3D models. 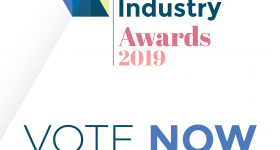 The following article includes several international 3D printer manufacturers which caught the attention of 3D Printing Industry. 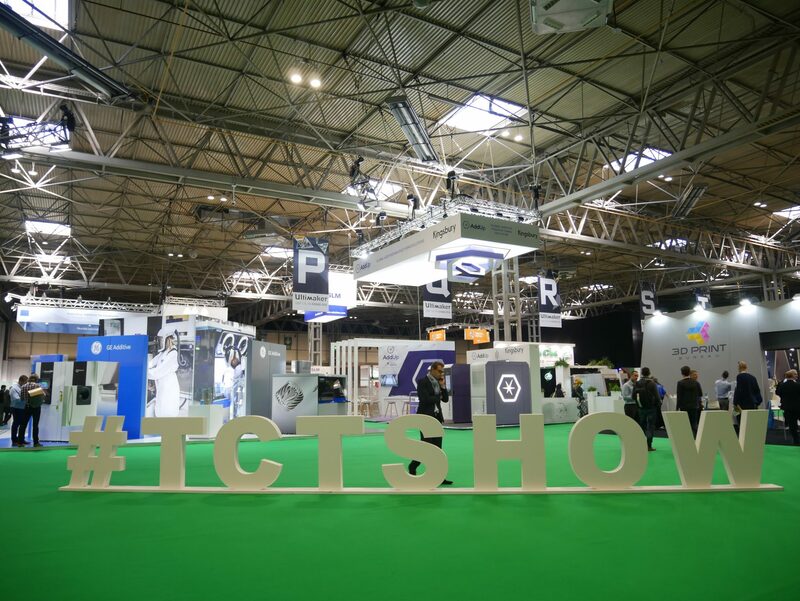 Inside the 2018 TCT Show at the NEC. Photo by Tia Vialva. 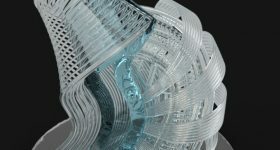 Founded in 2013, in Wollerau, Switzerland, Swiss 3D TEC, began as a reseller of 3D printers before entering the market themselves with a range of advanced FDM printers. 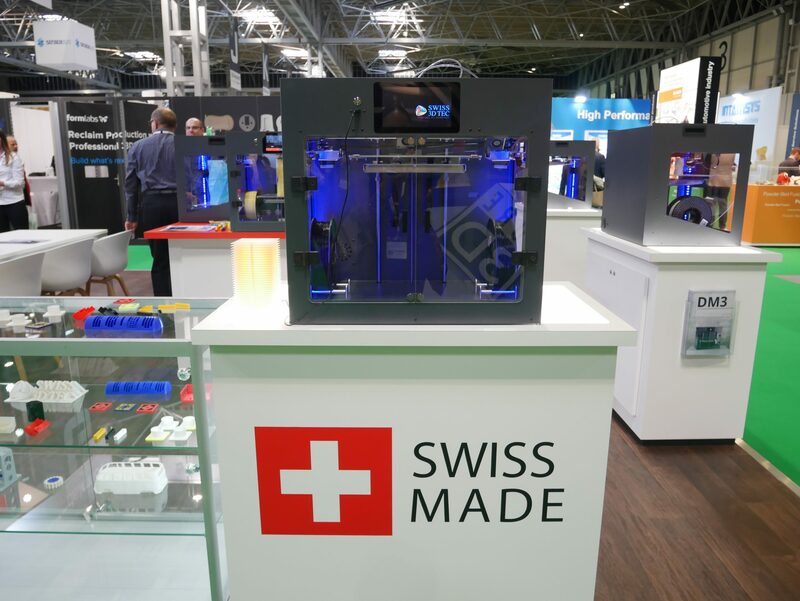 While conversing with Krisjanis Putrins, the Head of Sales at Swiss 3D TEC, I was given a detailed overview of the latest 3D printer, the DM3, which was launched at TCT. “We developed the DM3 printer, hand built in Switzerland, to be the most reliable and technically precise machine in its class. 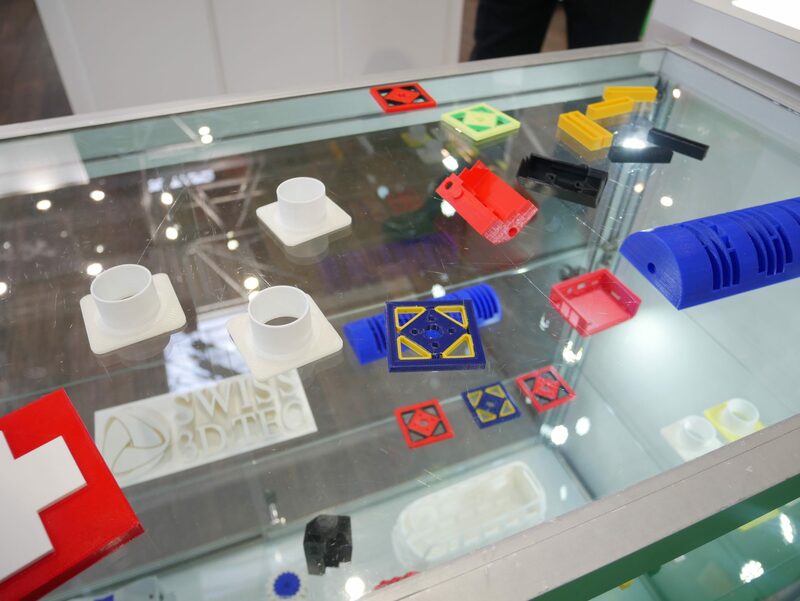 Our independent dual extruders enable our customers to combine various materials and opens the doors to industrial-level performance in a desktop machine,” explained Putrins. 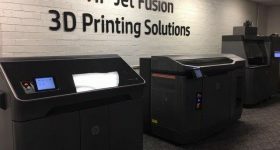 The DM3 printer from Swiss 3D TEC. Photo by Tia Vialva. 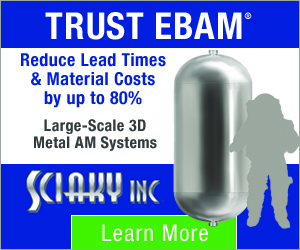 The company seamlessly transitioned into 3D printer manufacturing to create systems that are capable of highly complex 3D printed parts using industrial materials which “are reliably and quickly possible with the DM3.” Putrins believes that the DM3 will best serve the automotive sector for tooling applications. 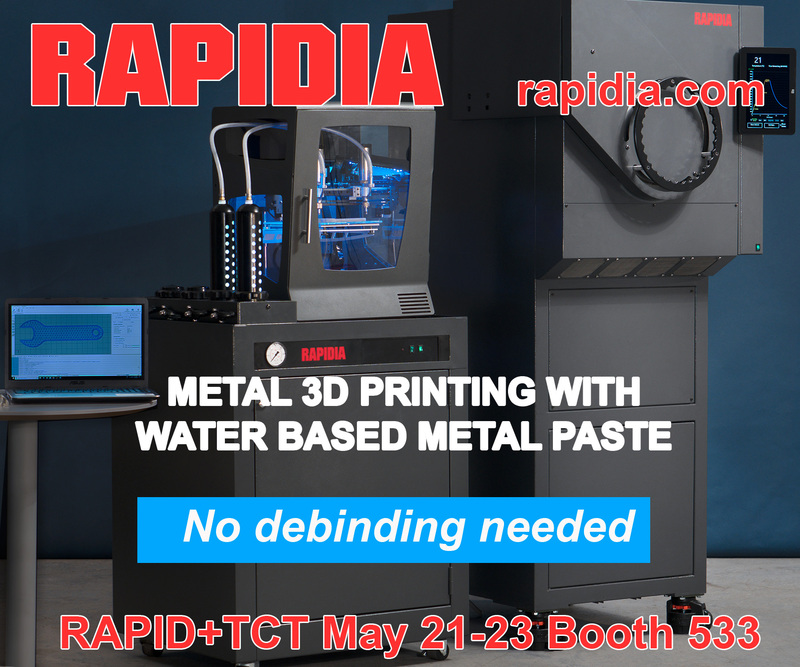 Over the past few years, Raise3D has established its name for reliable mid-tier professional FDM 3D printers as seen with the recent Pro2 series of 3D printers, which also includes a dual extrusion system. 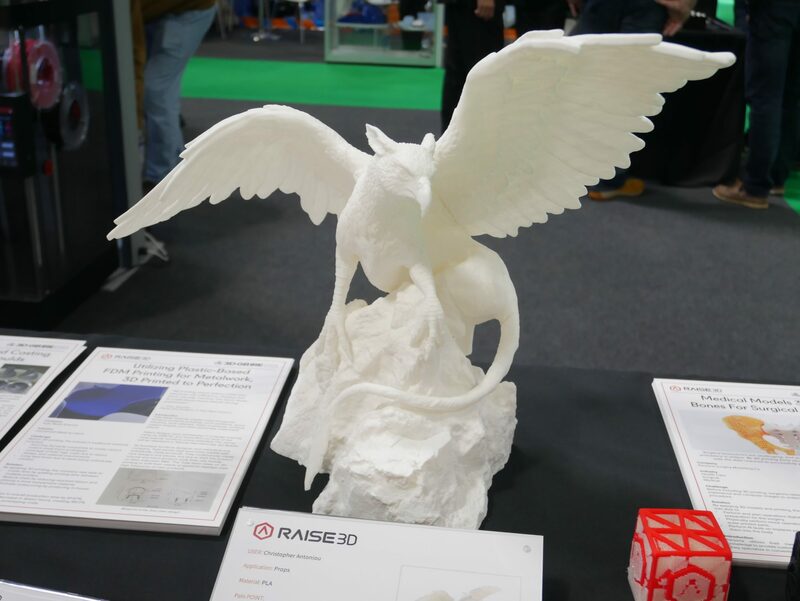 With both the N2 and Pro2 series present, William Sun, Marketing Manager at Raise3D, detailed the capabilities of the 3D printer through a striking mythical 3D film prop on display. “This model was designed by Christopher Antoniou and printed using the large-format N2 3D printer in PLA. 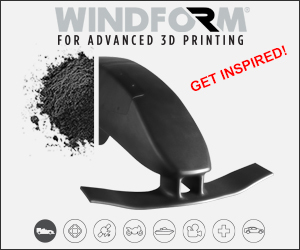 With accurate digital modeling software on our system, our printer overcame common challenges associated with this larger, detailed model such as inconsistencies in dimensional accuracy.” The model was printed in parts which took several hours, then assembled manually. A 3D printed mythical film prop manufactured on Raise3D’s N2 3D printer. Photo by Tia Vialva. 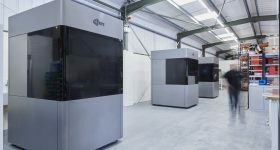 In 2016, OMNI3D, a Polish 3D printer manufacturer and service bureau, launched its own large-format FDM system, known as the Factory 2.0. 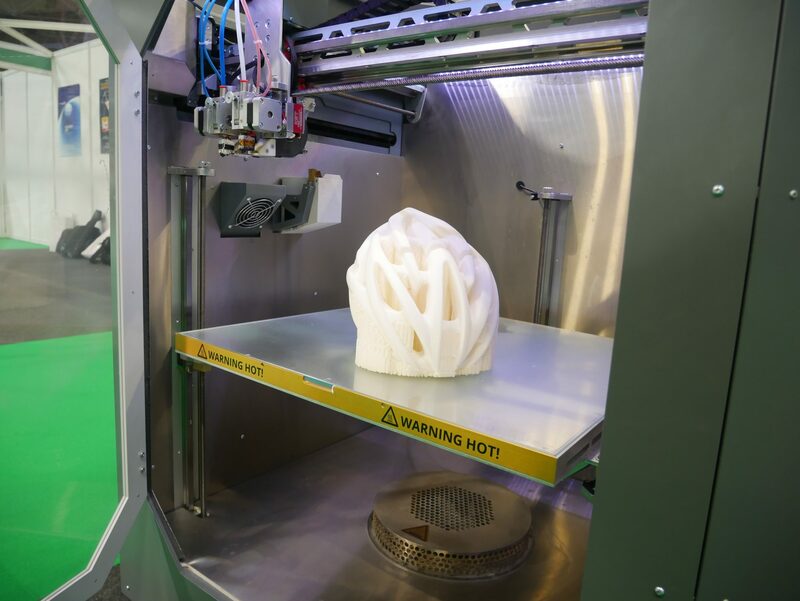 The OMNI3D exhibit, riddled with huge 3D models, including a 5.2kg (11lbs) Benchy and an ergonomic 3D printed ABS chair, Marek Starow, an Export Manager at OMNI3D, delved into the applications of its industrial machine. 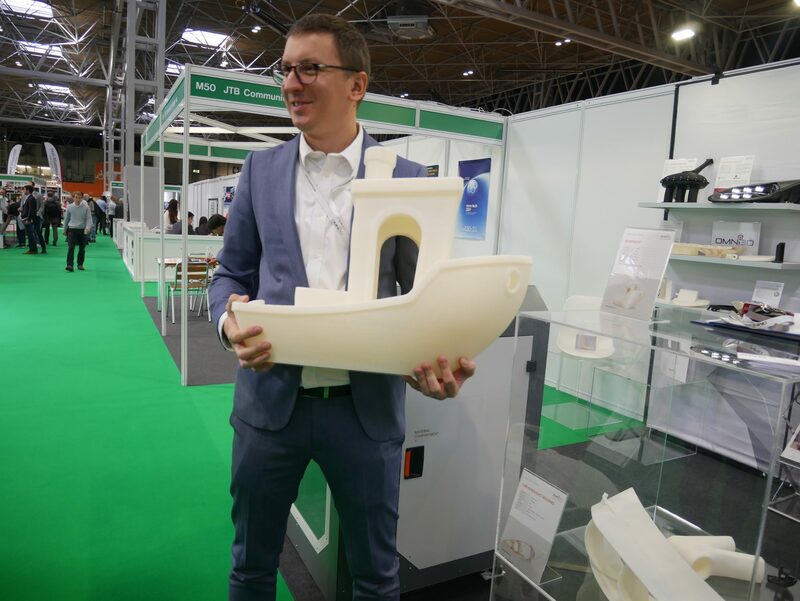 Marek Starow, an Export Manager at OMNI3D, holding an 11lbs 3D printed Benchy manufactured on the Factory 2.0. Photo by Tia Vialva. With a build volume of 500 x 500 x 500 mm, the Factory 2.0 previously created durable 3D printed components for the Polish car manufacturer Arrinera’s Hussarya supercar. Upon further questioning, Starow added that the 3D printer is currently being utilized by an established European car manufacturer, the details of which remain confidential. A 3D printed helmet inside the Factory 2.0. Photo by Tia Vialva. Founded in 2016, BMF Material Technology (BMFTec), based in Guangdong, China, began the design, development, and production of micro/nano-scale 3D printing systems and materials. 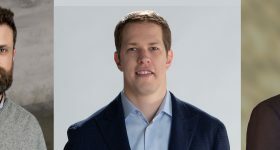 The company was created from the 3D Nano-manufacturing and Nano-photonics group led by MIT Professor, Nicholas X. Fang. 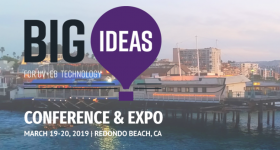 Demonstrating a sleek and compact design, Dr. Leon Kan, the Business Development Director of BMFTec, explained the origins of the nanoArch S140 PμLSE 3D printer, as well as its features and applications. 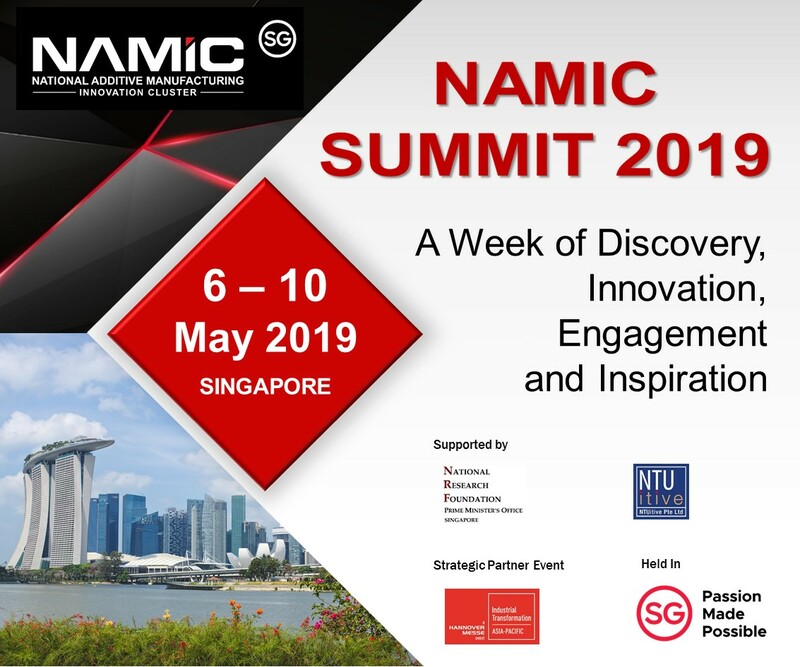 According to Dr. Kan, this system is focused on such applications as M/NEMS, precision optics, biomedicine, tissue engineering, new energy, HD display, microfluidic components, and micro/nano optical components. This is a result of its controllable technology at a micro scale. 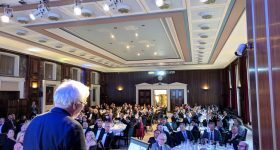 With the ongoing development of 3D printers for both makers and industrial manufacturers, it seems that advanced additive manufacturing hardware refuses to slow down. 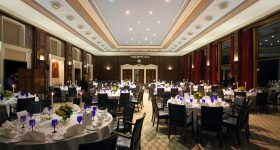 Will these companies be at the forefront of their targeted markets in years to come? Featured image shows the TCT sign inside the NEC. Photo by Tia Vialva.